A party just isn’t a party unless there’s food right? Planning a party’s menu is often my favorite part of a party…and not just because I really love cake! Party menus in my 20’s were a lot different than they are in my mid-30’s. Now that most of my friends have kids, I always want to add in some kid-friendly options. 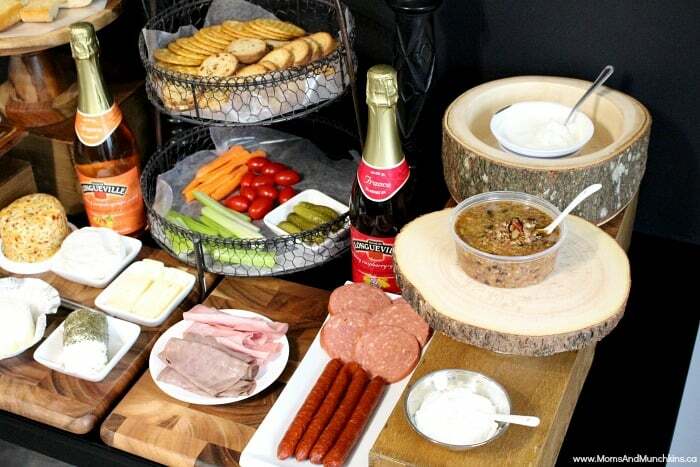 Fancy food doesn’t always appeal to the younger guests. I know my son would be happy with a buffet of chicken nuggets and fruit snacks. 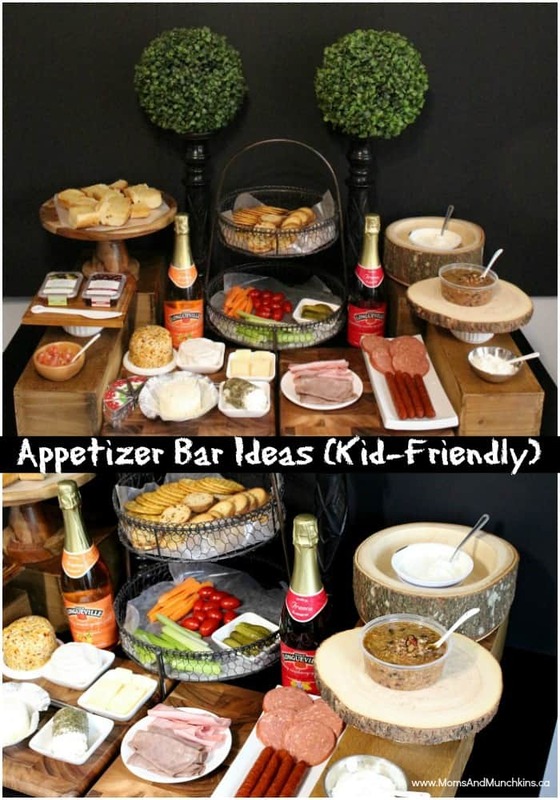 These appetizer bar ideas include foods for all ages – those that prefer plain & simple and those that are a bit more adventurous. 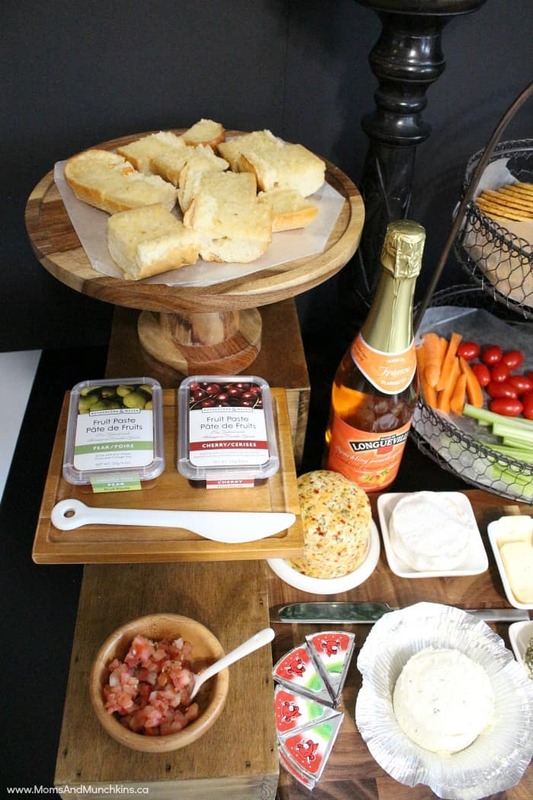 Let’s start with setting the scene for your appetizer bar. The fancy dinnerware can create a beautiful table but it’s not always the best choice – especially when kids are involved. 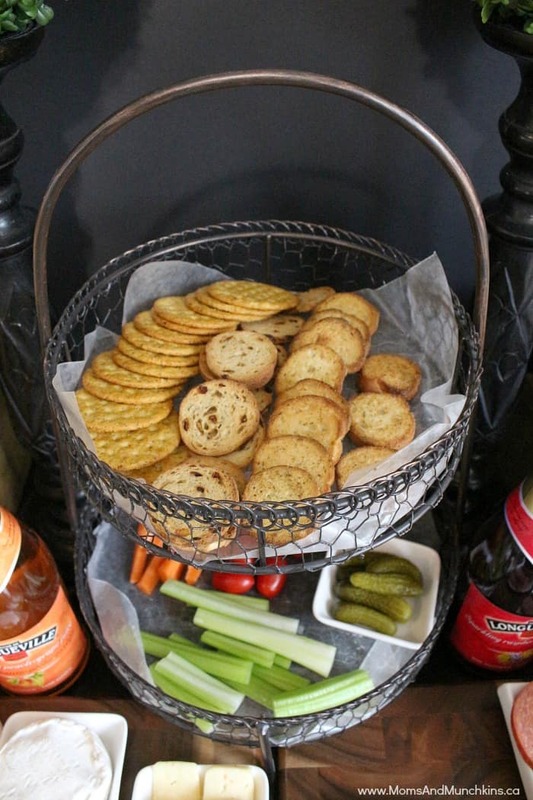 With kids at the party, you’ll want to make sure they can reach the food without knocking over any of those pretty glass candy vases. 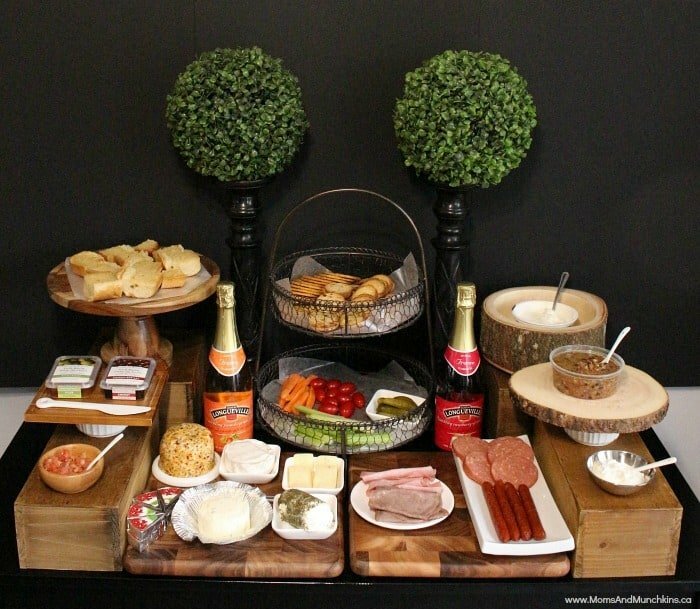 With this party, I went with wooden trays, boxes and cake stands at different heights to display the food. I get asked a lot where I find all of my table decorations (the wooden pieces featured here). I’d say that 95% of them come from HomeSense. You never quite know what you’ll find at HomeSense so I just pop in every time I’m in the area and look for pieces to add to my collection. Now let’s get to the food! 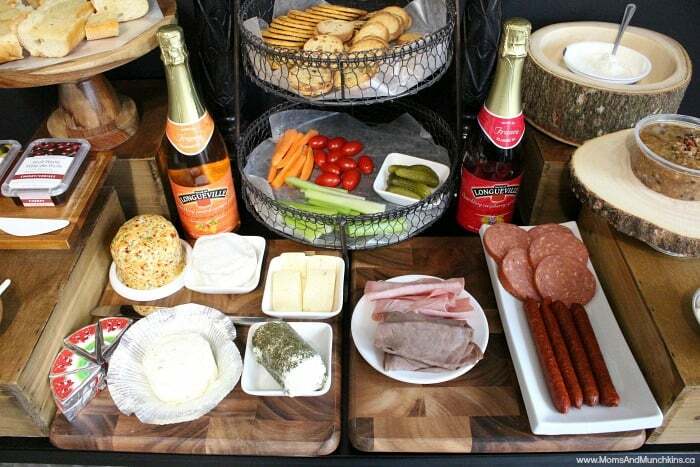 For this appetizer bar, I went with a meat & cheese buffet. There are so many cheeses to choose from at the grocery store so that was easy. I went with Boursin (my favorite! 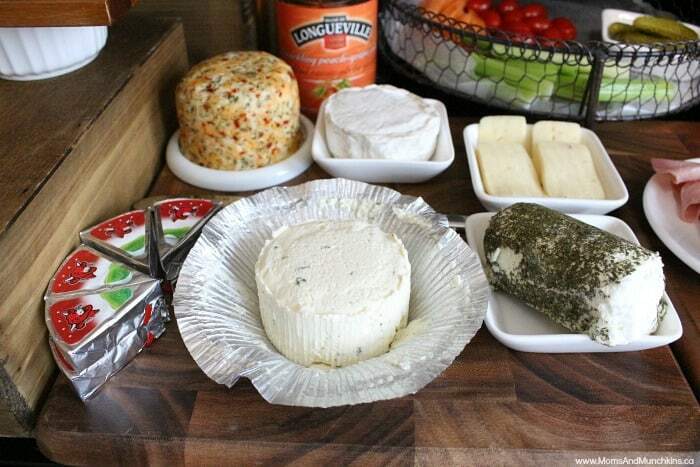 ), a jalapeño cheese ball, goat cheese, dill havarti and brie. 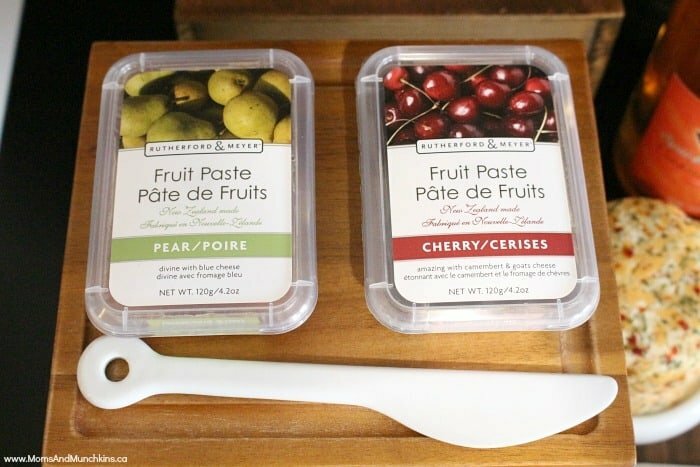 For the kids you may want to add in some of their favorites like marble cheese strings, Babybel or just regular cheese slices cut into fun shapes using mini cookie cutters. 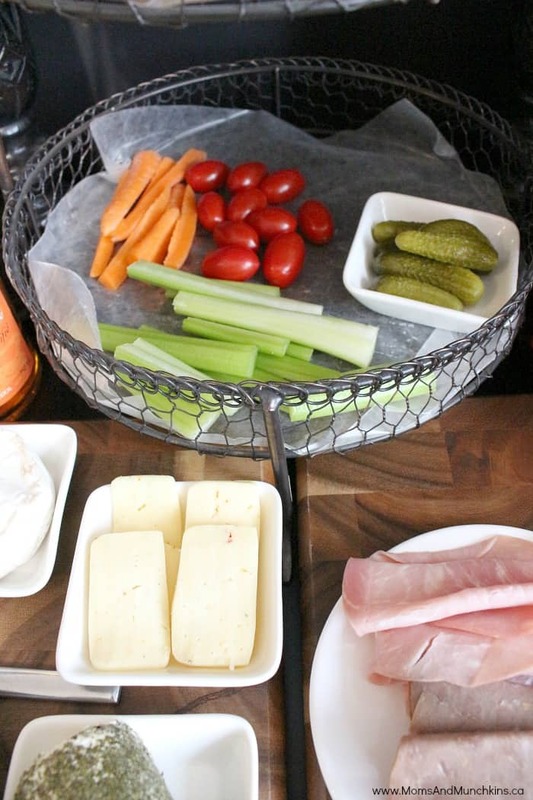 If you don’t mind the mess, you could also serve a cheese fondue. 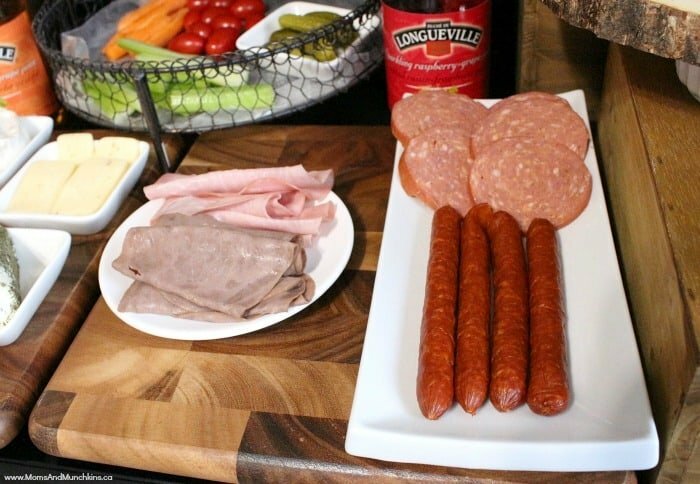 For the meat I went with a variety of freshly sliced meat from the deli plus some kid favorites like pepperoni sticks and sliced sandwich meat. 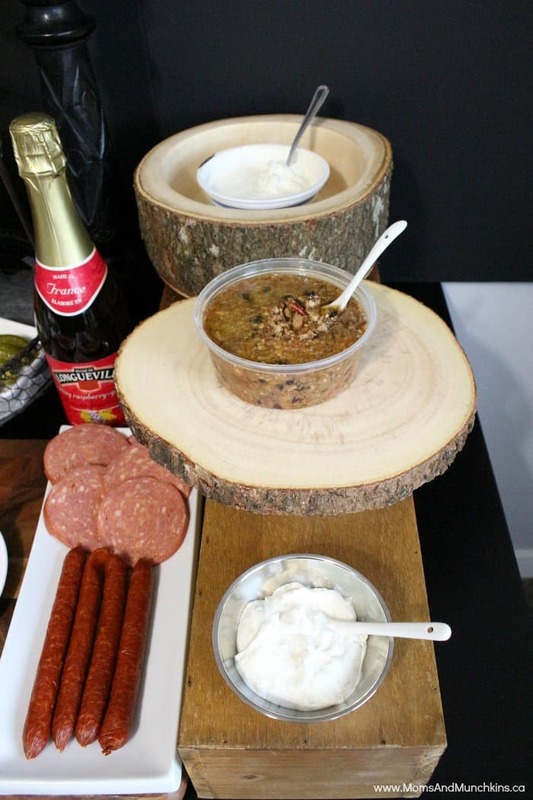 Meatballs & chicken fingers are also delicious ideas but you’ll want a way to keep them warm. 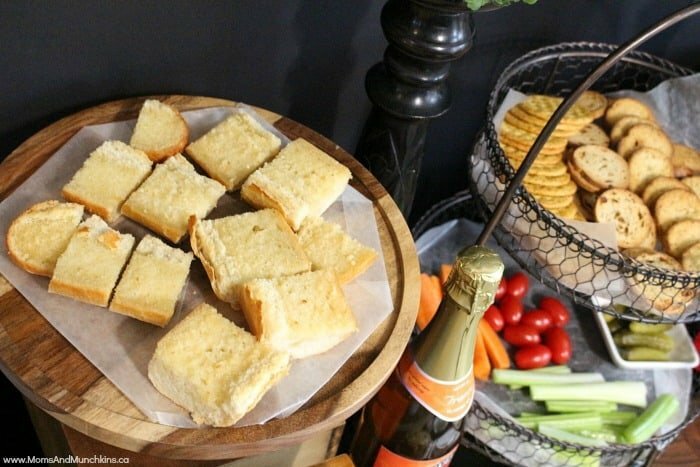 For breads & crackers, I sliced up a garlic baguette (this disappeared almost immediately – it was the party favorite) and a variety of crackers. For kids, there are a variety of fun animal shaped crackers you could choose from. 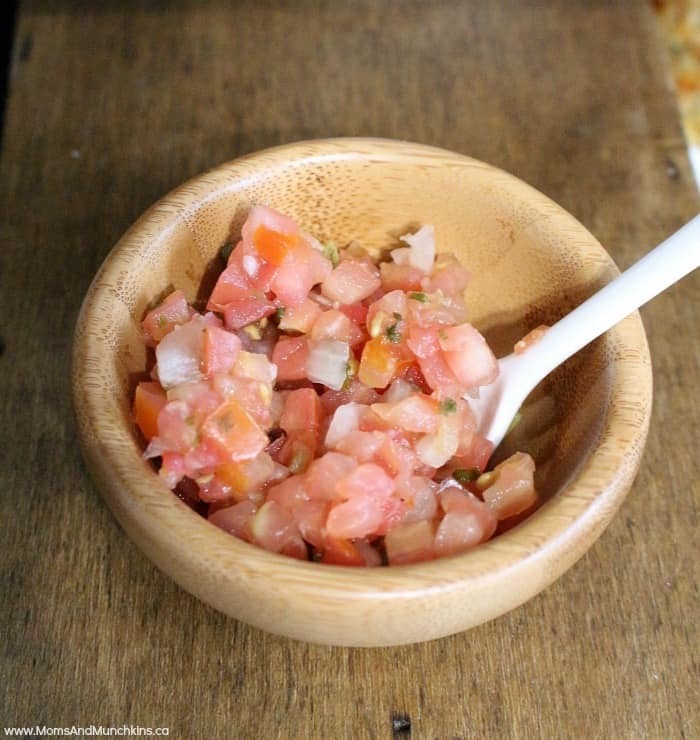 Then there are the toppings like bruschetta, tzatziki sauce, fruit spreads and salad dressings for dipping vegetables in. For drinks, I chose something all ages would enjoy – fruit juice spritzers in fancy wine-style bottles. 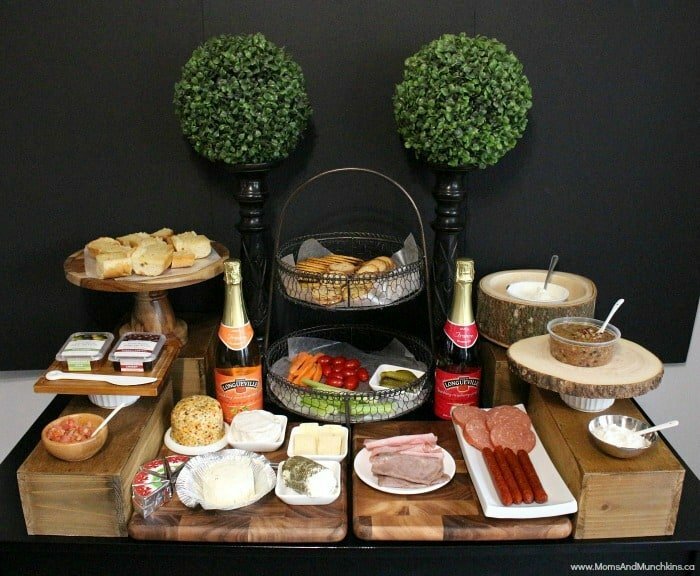 For more appetizer bar ideas, check out this Gourmet Appetizer Bar that I set up for a holiday party last year. We also have loads of recipes perfect for parties over on our Recipes page. 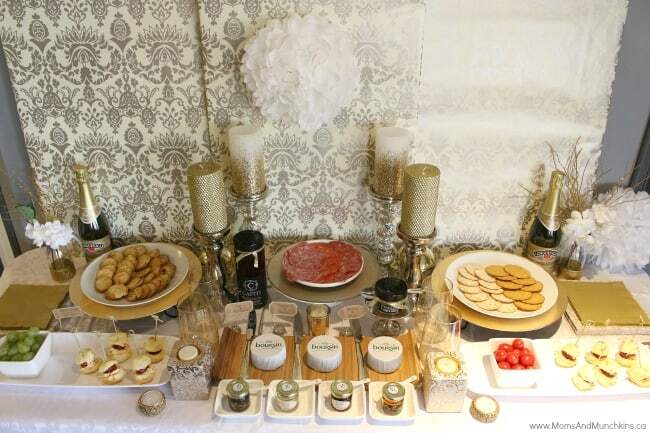 We’re always adding new ideas for parties! Stay updated on the latest by following us on Facebook, Pinterest, Twitter and Instagram.